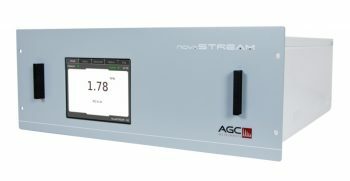 The new NovaSTREAM 100 Trace N2 Gas Analyser has been developed to allow for the continuous monitoring of N2 in Argon or N2 in Helium to %, ppm and ppb levels. AGC Instruments has been providing this Solution to Companies across the globe, and especially to Argon and Helium specific plants in a variety of applications. This Analyser is suitable for measuring in the range of 0-100ppm, and a low detectable level of 10ppb is achieved. For more information on our Trace N2 Gas Analysers please contact us directly.